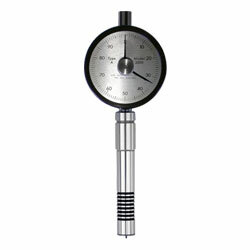 The RX-2000 durometer is the latest innovation for the testing of specimens with creep. The RX-2000 has a second needle which holds the highest measurement. This helps the operator observe the creep characteristics of a specimen. To reset the peak indicator the user simply rotates the reset knob on the front of the gauge to clear the previous reading. The simplicity of the reset mechanism ensures a lifetime of use, and makes the RX-2000 the most affordable durometer for testing specimens with creep. 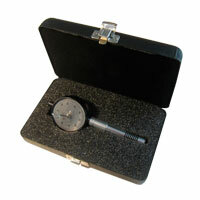 Type A Durometer with Memory Pointer, for Soft rubber, plastics and elastomers. 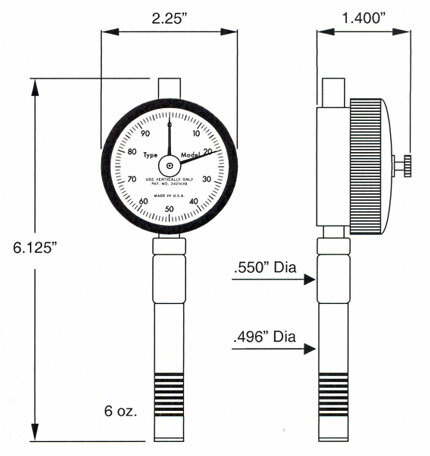 Type B Durometer with Memory Pointer, for Harder elastomers and plastics. Use above 93 A scale. 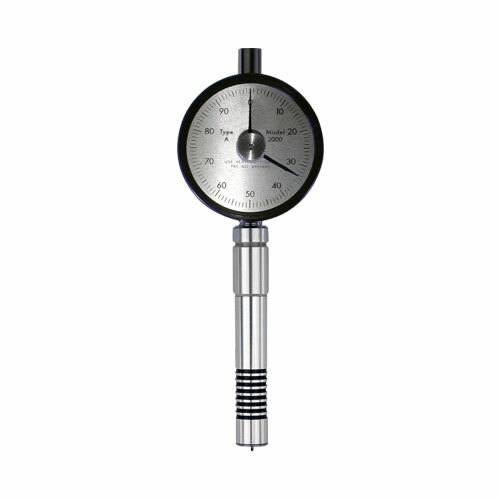 Type C Durometer with Memory Pointer, for Medium hard elastomers and plastics. 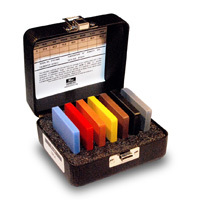 Type DO Durometer with Memory Pointer, for Dense granular material and textile windings.